In the Rhône-Alpes region, in the midst of a regional nature park, where the borders of the French departments of Ardèche and Rhône meet. In an area, near to the urban towns of Saint-Etienne and Lyon, which stands out courtesy of its climate and its mosaic landscape. 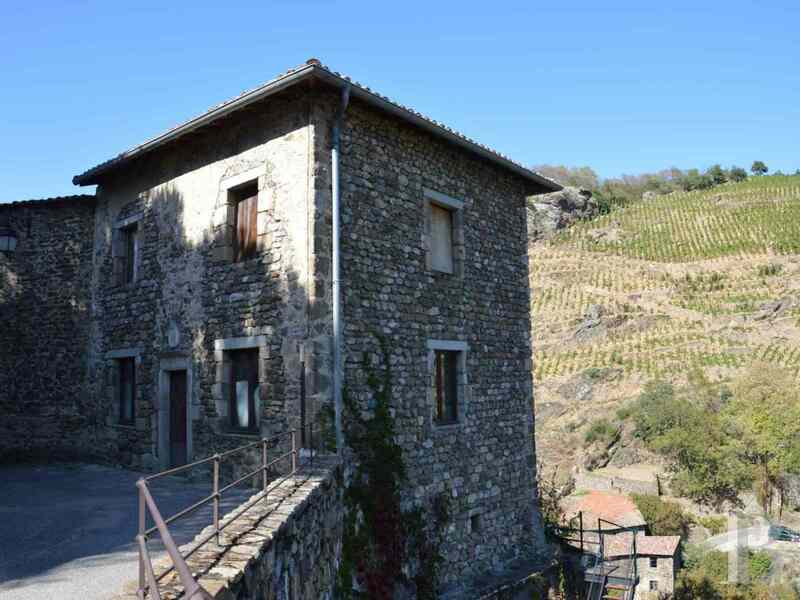 This property is in a village perched on a rocky spur, flanked by two torrential rivers. 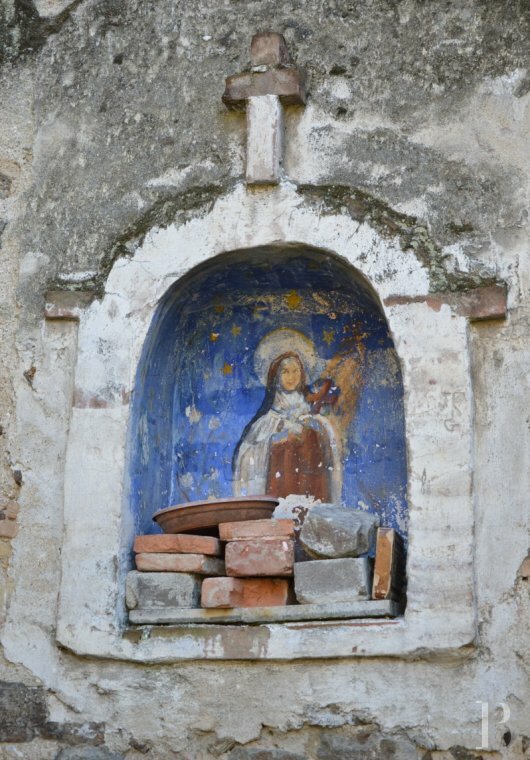 An important town controlling the old road going from the Rhône Valley to that of the Loire in the Middle-Ages, it greatly suffered during the Wars of Religion but is now a peaceful, little village. It is 20 minutes from a slip road for the A7 motorway, an hour from Lyon (TGV train station and international airport), Valence and Saint-Etienne as well as 2½ hours from Geneva. This old salt loft, standing in the centre of a historic village, was where the “gabelle” or salt tax was paid during the Renaissance era. Used for storing salt, every citizen had to come here once a year to buy salt, spending roughly the equivalent of a month’s salary; the word salary being derived from the word salt. This “gabelle” was a very unpopular tax. This building, which later became a catholic school, is now a vast residence with a view over the surrounding hillsides, planted with vines. 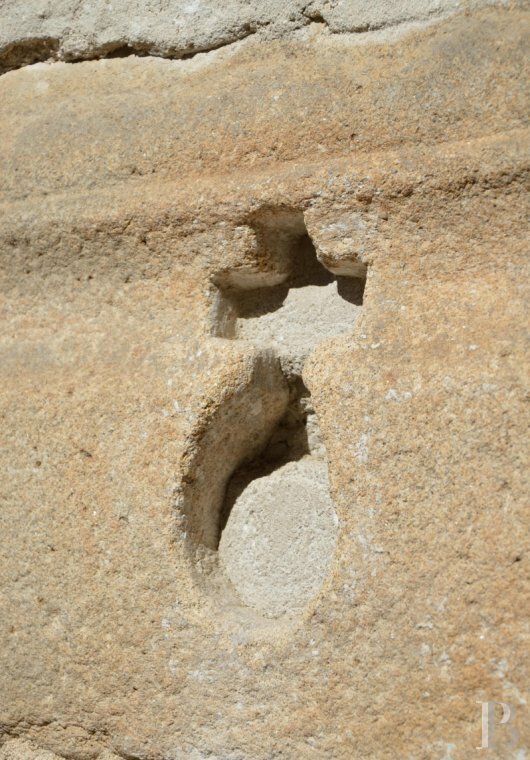 Constructed entirely from stone, it spans four levels. 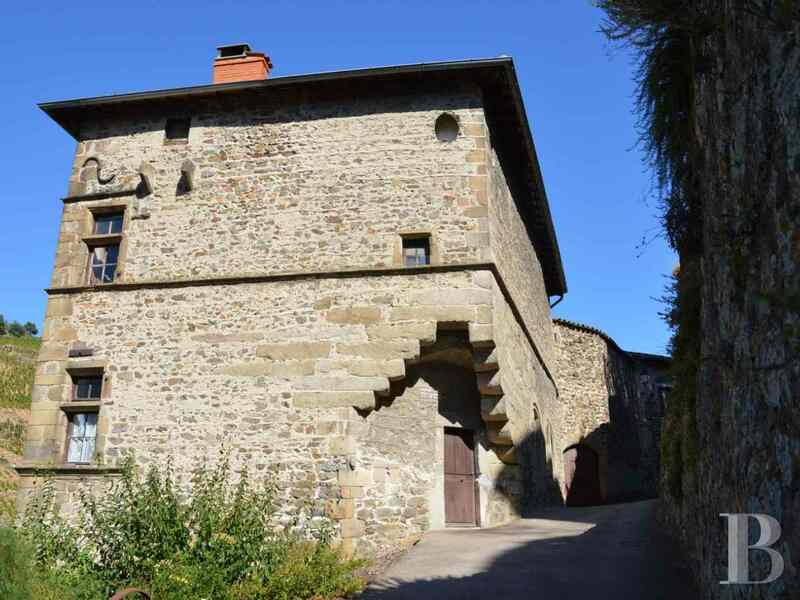 It has an inner courtyard as well as a garden and adjoins a little house, awaiting renovation, reached via a separate entrance. A gallery once linked the salt loft to the little house. The garden is laid out in tiers. 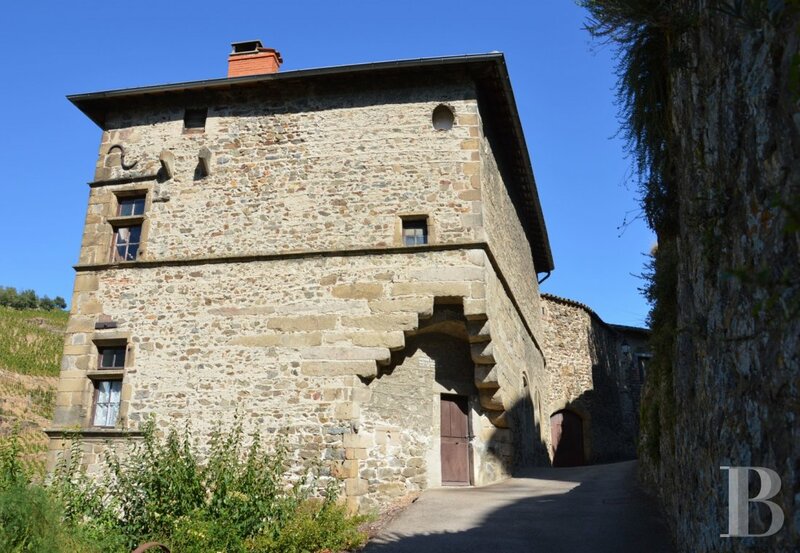 This stone building spans four levels, topped with a hip roof. 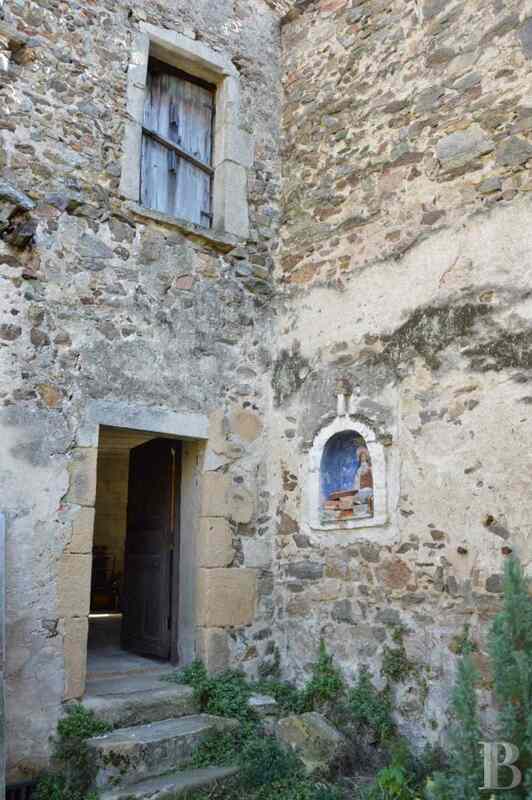 The walls feature mullioned windows and wide arched openings. One of the entrances, directly reached from the narrow street, is set under the toothed quoins of a hipped corner of the building. Two levels are taken up by living space whilst the ground floor comprises a garage and cellars. 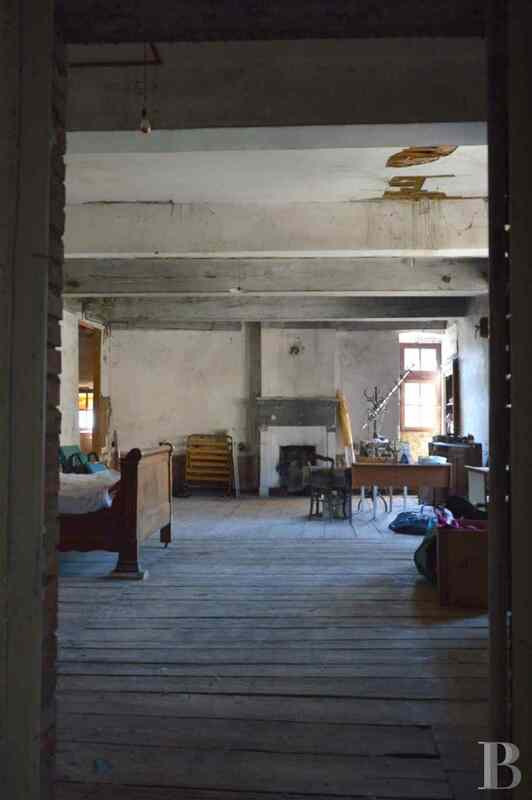 The top floor is given over to the attics. The ground floor includes a garage and cellars. The spacious garage opens on to the street via a heavy wooden door. 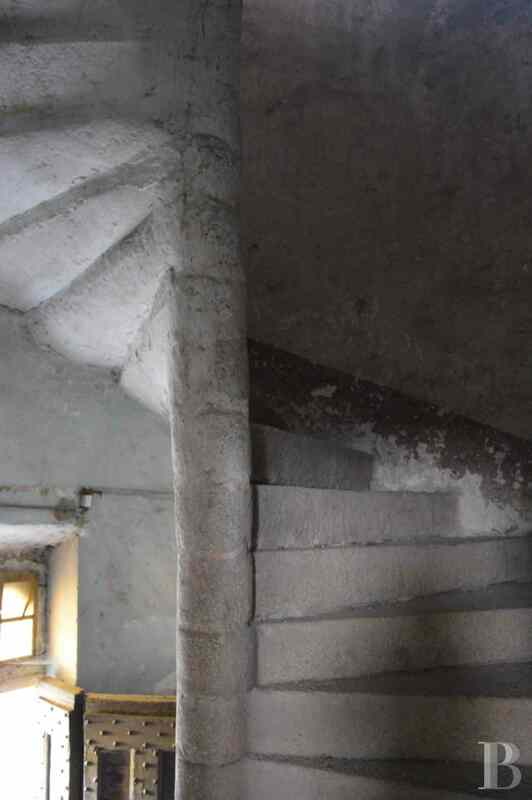 It communicates with the cellars and is reached, from the inside of the residence, via a stone stairway. This floor, laid out on a level with the house’s garden, can be reached via several entrances. 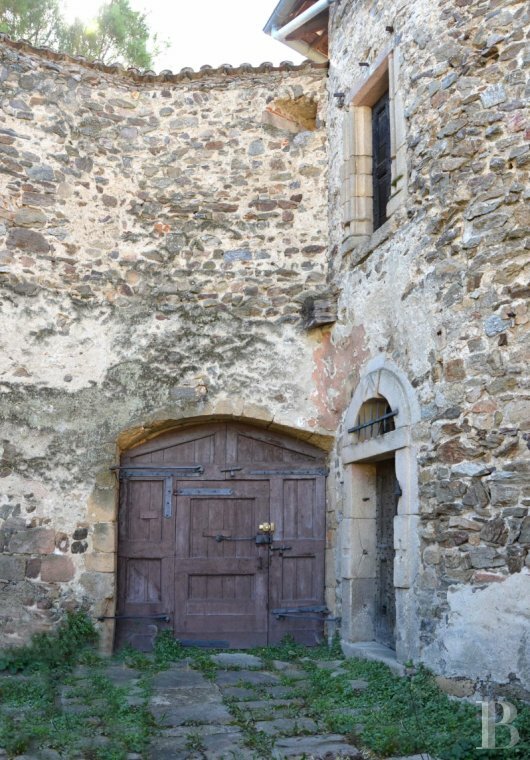 One of them is in the inner courtyard, where an old studded door provides access to the building. It opens on to a spiral stone stairway, connecting all the levels to one another. A passageway leads to a kitchen, adjoining a little lounge. 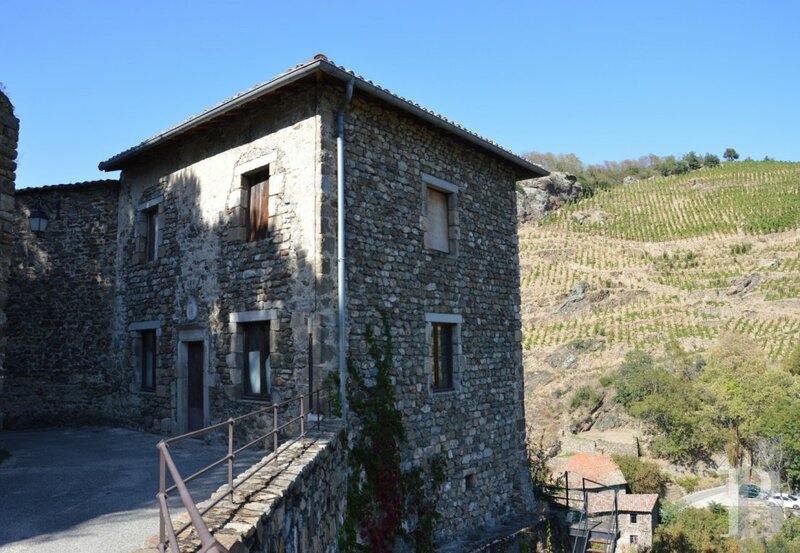 The rooms have outstanding views of the vine-covered hillsides and the other stone houses in the village. A bedroom and a shower room complete this level, together with a summer kitchen contained in an extension on the courtyard side. The first floor comprises a vast room, the French ceiling of which matches its wooden flooring. An old fireplace heats this room, illuminated via mullioned windows. 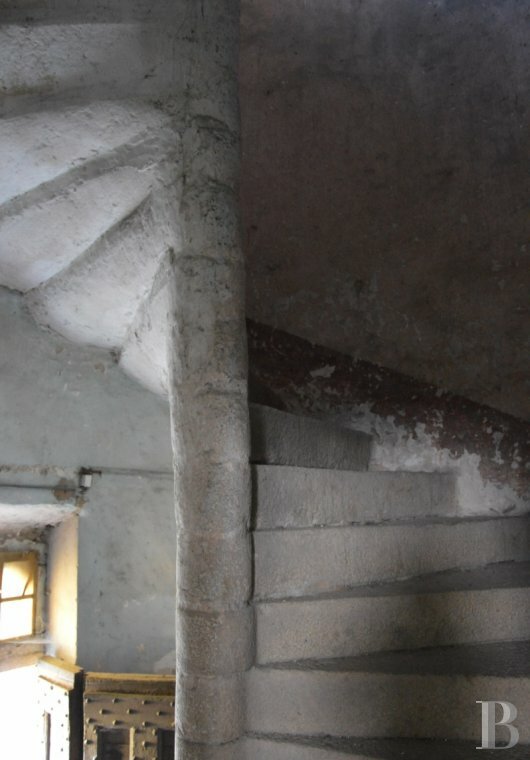 The spiral stairway provides access to a bedroom, set on a half-floor, going up to the attic. The attics take up the second floor of the building. Wide wooden beams restrict the conversion potential of this vast area. This little, stone house has two levels, each spanning approx. 38 m². 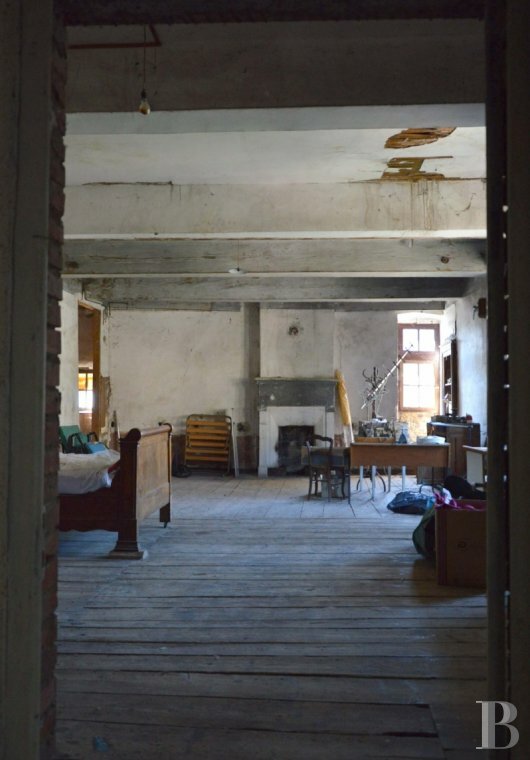 Although its carcass has been restored, this house is in need of interior renovation works. 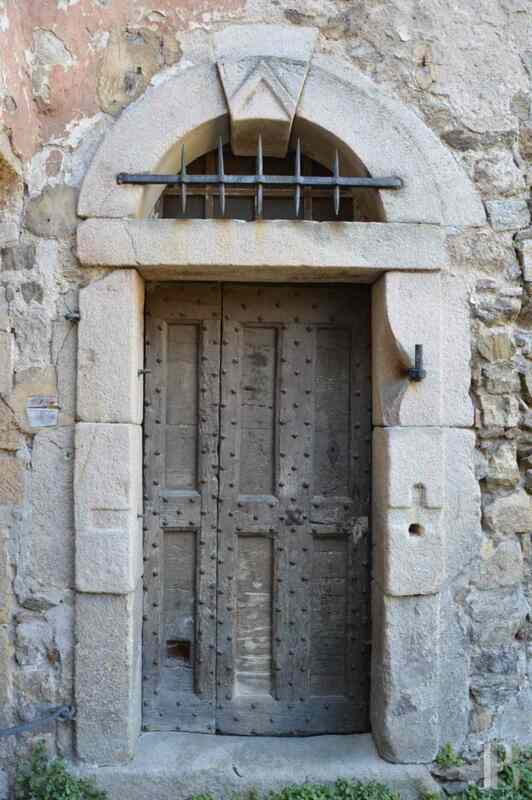 The entrance door, on the narrow street, is flanked by dressed stone and a stone lintel, engraved with the year 1828. A medallion is set in the wall above the door. 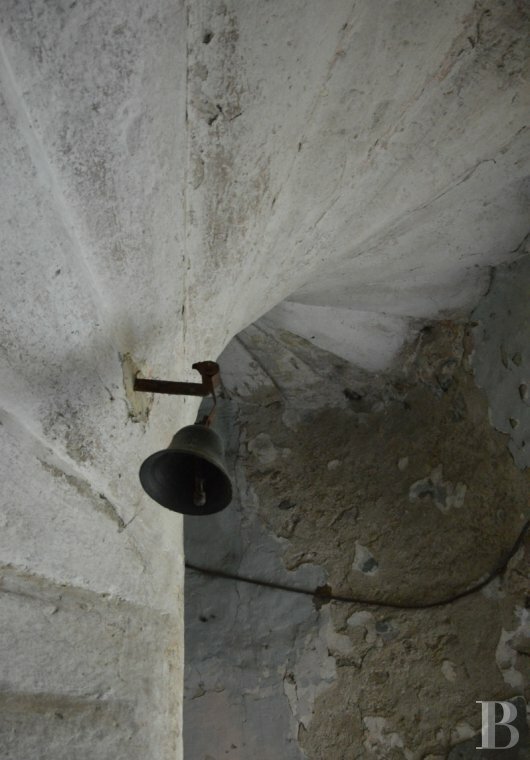 Inside, a stone font, set in the wall, bears witness to the presence of nuns at the time when this property housed a school. 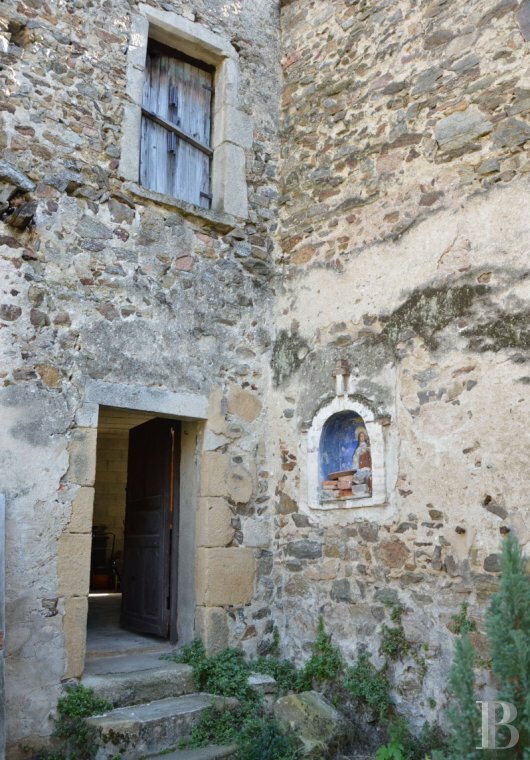 The room communicates with the inner courtyard via a few stone steps and a vaulted alcove, topped with a cross, is set in the wall. 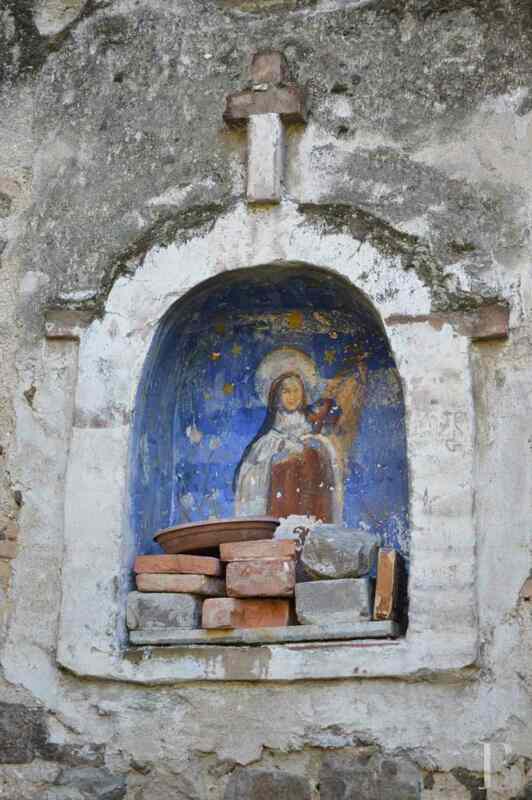 It is painted and represents a Virgin. An open gallery, supported by stone columns, once linked the upstairs of the little house to the salt loft. 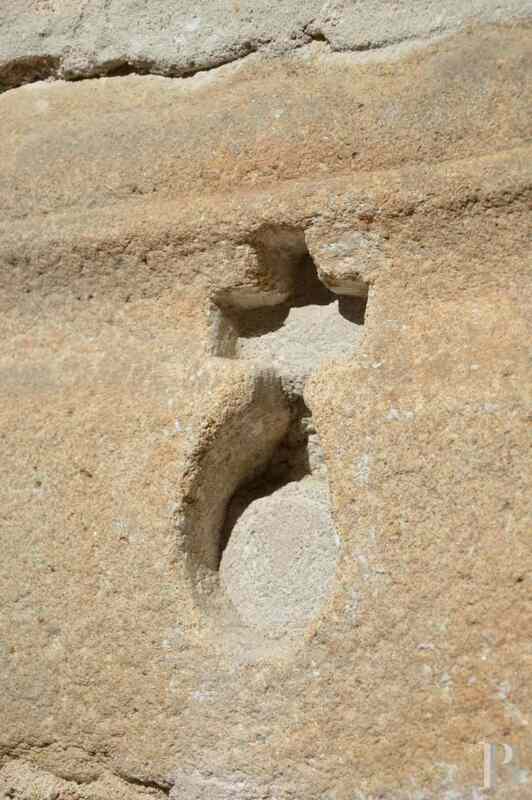 It could be reconstructed. The past unpopularity of the premises where the salt tax was collected in no way detracts from its current attraction. 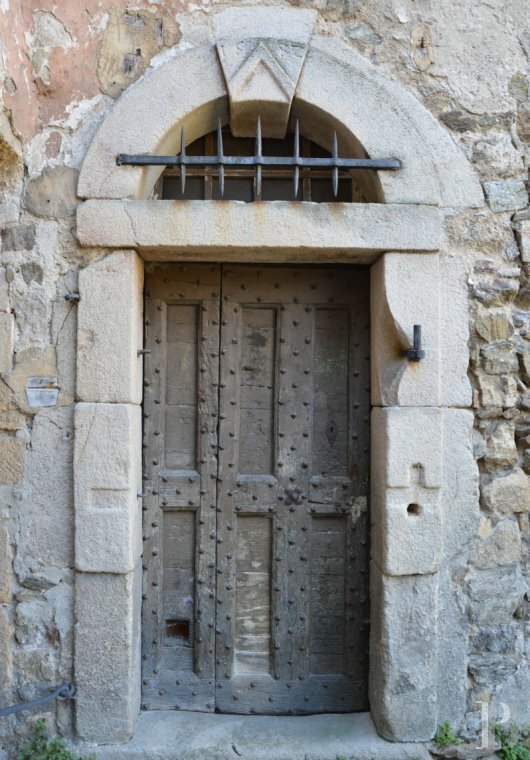 Studded, wooden doors, the spiral stairway, impressive ceilings with their exposed beams and traces of the presence of nuns at a certain era all appeal to visitors, already highly appreciative of the steeply sloping site and the medieval village. The necessary renovation works will give new owners a free rein which includes the future of the little, self-contained house.